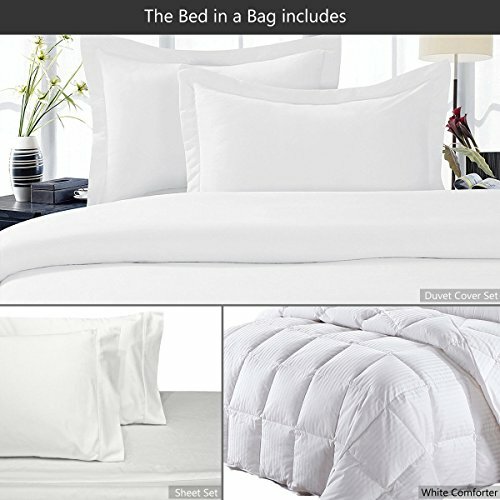 Sheetsnthings is proudly offering a beautiful 8 pieces Goose down bed in a bag set. Sleep in luxurious comfort with this Goose Down comforter set Features 100% cotton, 300 thread-count cover Sateen Striped Features an extremely soft touch and outstanding durability 600 Fill power Box stitch construction keeps fill evenly distributed * Royal Tradition * Four Seasons * 600 Fill Power * 300 Thread count cover * 100% cotton cover * Allergy Free Down and feather-filled products are packed tightly during shipping. Upon receipt, remove them from their packaging, fluff gently, and allow several hours to recover their full loft. In addition, being sealed in plastic packaging sometimes causes the scent of these natural products to concentrate to a disagreeable level. A few hours of airing usually removes the odor. 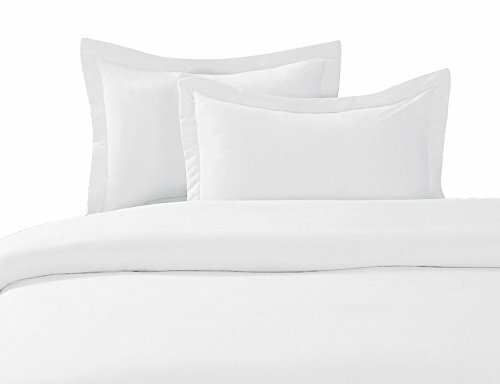 In addition to the beautiful goose down comforter, you’re also receiving 100% cotton duvet set 300tc with the matching standard shams plus a beautiful cotton 300 thread count sheet set with the matching pillowcases. HOW TO ASSEMBLE YOUR BEDDING SET: You simply insert the down comforter into the duvet/comforter cover with button enclosures at the bottom, this will protect your comforter and keep it easy maintenance. Put your sheets on the bed and insert your pillows in their cases and you are ready to enjoy a good night’s sleep! ORDER NOW and enjoy the softness of your bed!